The real-time revolution is here – powered by Unity. At SIGGRAPH 2018, we’re celebrating real-time creative achievements and innovations by visionary film directors, CG artists, animators and others. Join us to learn how our real-time rendering and 3D content-creation tools are fostering unprecedented artistic freedom and greatly simplifying workflows in industries like film, games, and automotive. At SIGGRAPH, witness the power of Unity’s real-time rendering for episodic CG and short animated films as we reveal “Baymax Dreams,” three two-minute shorts inspired by Disney Television Animation’s Emmy-nominated “Big Hero 6 The Series”. 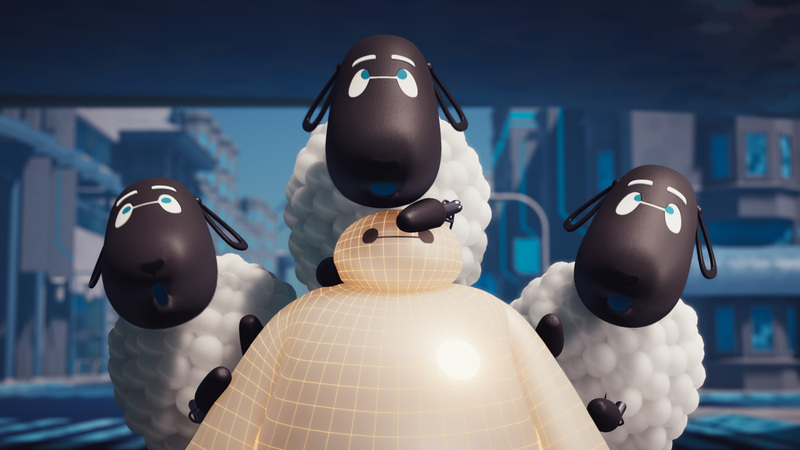 Unity Demonstrates Non-Linear Workflow Used To Produce “Baymax Dreams” Shorts inspired by Disney Television Animation’s “Big Hero 6 The Series”. Visit our booth and the Unity Zone for presentations and talks from Unity developers, partners, and experts. Learn advanced techniques and see behind the scenes of cutting-edge 2D, 3D, film and VR projects. This vibrant festival showcases 25 amazing short films – culled from over 400 submissions. You’ll see state-of-the-art computer graphics in animated games, movies and visual effects, and can cheer on your favorites, as the CAF is a qualifying festival for the Academy of Motion Picture Arts and Sciences. Join the Unity team in celebrating these CG storytellers! Neill Blomkamp and his creative crew leveraged Unity’s Timeline, real-time rendering, alembic support, and photogrammetry tools for this major leap forward in digital storytelling. Seen by millions, Book of the Dead is a first-person interactive film showcasing Unity’s latest capabilities for powering high-end visuals for game and other digital productions. Experience the most innovative and interactive techniques in real-time graphics as they’re presented and deconstructed live by their creators! Go behind-the-scenes into two groundbreaking films made with Unity. See how Oats Studios modified their traditional VFX pipeline to create the breakthrough real-time shorts ADAM Episodes 2 & 3 using photogrammetry, alembic, and Unity’s real-time rendering. We demonstrate a Unity-powered virtual production platform that pushes the boundaries of real-time technologies to empower filmmakers with full multi-user collaboration and live manipulation of whole environments and characters. Special attention is dedicated to high-quality, real-time graphics, as achieved in Unity’s Book of the Dead. Attend this session to learn from some of the industry’s most visionary and innovative thinkers as they present and discuss new work in computer graphics technology and interactive techniques. Learn new concepts and skills from experts in all areas of computer graphics technology and interactive techniques. Attend these lively sessions to hear about and discuss the latest in computer graphics and interactive techniques. Don’t miss these opportunities to learn from industry professionals on a wide variety of topics in computer graphics. Get involved in these grassroots, informal discussions of shared interests, goals, technologies and more. See into the minds of the conference creators in all areas of computer graphics technology and interactive techniques.